Multimedia artist, singer and actor who is known to fans of Orange is the New Black for portraying a pre-transition Sophia. 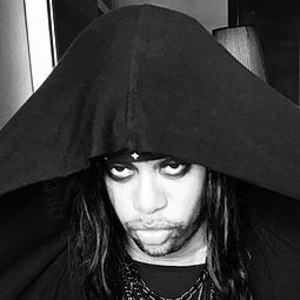 He released the album Negrogothic in 2015 and has had his work featured at prestigious venues like National Sawdust in New York. He was a painter at San Francisco Art Institute and later studied sculpture at Yale University. He dropped out of college to pursue music. In 2016, he received the Jerome Fund Grant for New Music and the NYFA Fellowship in Music and Sound. He is the identical twin brother of Orange is the New Black actress Laverne Cox. He participated in a public talk with activist Bell Hooks at New School in October 2014.